Etihad Airways || Abu Dhabi to Rome || June 23rd – the flight ticket read. I was super stoked and looking forward to my first ever trip to Europe. After an eight hour long transit, we touched down in Rome, our first destination on European soil. The sun was glaring right in our eyes and we pulled out our shades and looked like typical tourists. After docking our mortal coils in an Airbnb and gathering some much-needed rest, we set out to explore the city. A strong smell of cigarette smoke filled the air. The city buzzed with activity. Locals invited people to dine at their place, tourists flashed around their expensive purchases at Gucci and Giorgio Armani. Illegal immigrants were everywhere, slinking out of the sight as soon as they saw police officers. Heavily armoured security guards in fancy jeeps stood at every street. Every now and then you could see a church, elegantly outlined against the crimson sky. Fun fact – the roads in Rome are made of ‘paving stones’, a tradition that traces back to the Roman empire when horses were predominantly used for commute. 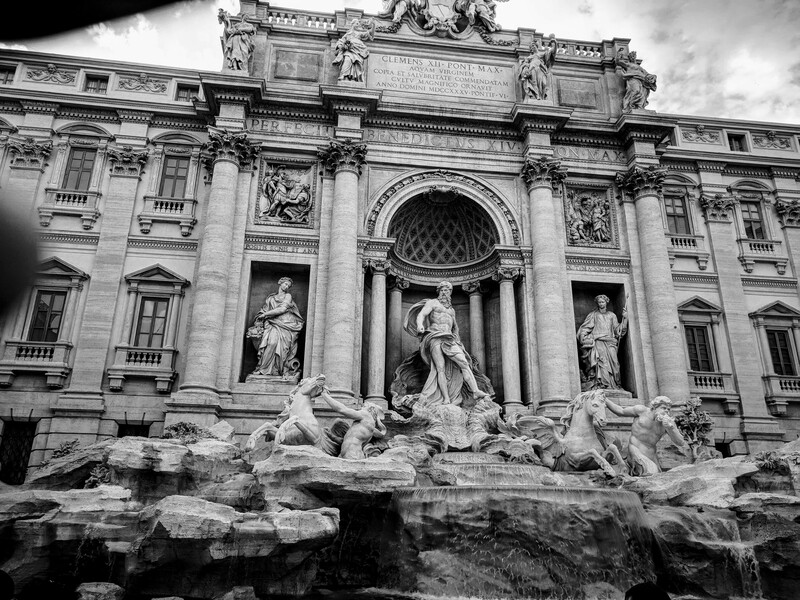 Rome is a city steeped in history, perhaps one of the few places where the past and the present co-exist so closely. At the heart of the city stood the ‘Spanish steps’, a long staircase with more than a 100 steps that lead to a church at the top. The view from there is divine, where every aspect of the city is miniaturized yet highlights all that the city has to offer. The Pantheon is another architectural marvel that features prominently in Dan Brown’s classic, Angels and Demons. It had a large concrete dome supported by humongous granite columns. The Pantheon’s circular domed cella stood unique and added the ‘Roman touch’ to it. The city refused to die down till late at night, with magic shows and puppetry keeping the commoners entertained. I was lucky enough to find my way into an open mic performance with a duo performing Pink Floyd’s songs. The crowd sang along, danced and enjoyed every bit of the show. The culture there seemed relaxed compared to what I experience regularly – a carefree approach to life, lavish display of money, putting personal happiness before anything and the tendency to live in the moment. The next day, we visited the Vatican City and the Colosseum. The Vatican is a huge walled territory that houses the Pope and a large number of museums. These museums possess a vast collection of paintings and murals and offered a picturesque location for photographers. The Colosseum is yet another place of historic significance. This was the first leg of the tour. From Rome, we went to Florence. Florence was more commercial. It was a city tailor-made to suit the interests of the tourists, with almost too many tourist-y places centered at one particular place. There were herds of tourists scouting from one church to the another, to make their every penny worth coming down for this extravagant trip. We had Italian pizza and gelato, two things that the country’s culinarians boast of being the best at. The pizza base was so light and airy that every bite of that meagerly topped pizza felt like a cloud in our mouths. Gelato (pronounced as gelaatho) is a fancy name for ice cream. They look, taste and feel like ice-cream. The Italians wanted to add their touch to ice-creams so they named it differently. Venchi’s gelato was one to die for. The chocolate boutique greets you with the sight of chocolate fountains, ice cream cones, Gianduja bars, and pastries. My personal favorite was the hazelnut and pistachio combination. This is one place where you can endlessly spend money without the slightest of regrets. From here, we moved to Switzerland. The train journey from Florence to Luzerne (Switzerland) was something that made me excessively jealous of people who commute through this route very often. The serene landscape, the meadows, the rays of the sun cutting across the bluish lakes surrounded by Swiss Alps, the 57 km long tunnel – all of those that felt like gems studded in a crown. Just as I grew cocky about how blissfully perfect my vacation seemed, the worst thing that could happen to a tourist happened to us. We lost our passports which were in my backpack while boarding a train to Zurich. The backpack was flicked by a really skilled backpack flicker who made me realize my backpack had been flicked only moments before the train left. We filed a police complaint immediately. We contacted the Indian embassy and decided to go there and arrange for a return ticket. Just as we decided to board the train towards the embassy, we got a call from the lost and found department telling us that our bag had been spotted in the subway. Our passports were intact, the backpack thief had taken 50 Swiss francs, the plastic parts of the stick file in which the itinerary was kept and a packet of udhi (not sure what he thought it was). We continued our vacation after that stroke of luck and made our way to Zurich. I ended up buying lots of chocolates for my friends back in college just for the “Swiss chocolates” tag, even though they tasted the same. This was my vacation, a really eventful and a much-needed hiatus from reality. A really passionate writer who prefers expressing emotions through writing than speech.